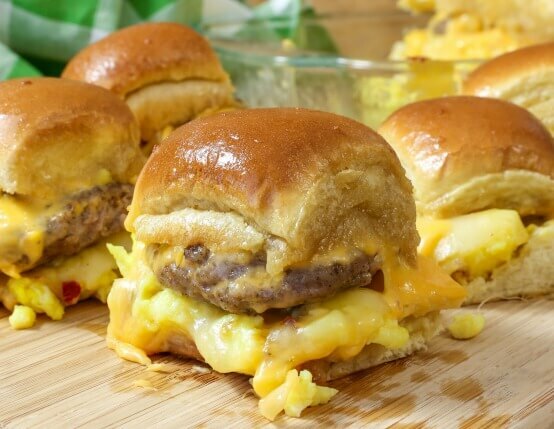 Perfect for serving a crowd, these sweet and savory breakfast sliders can be prepped the day before and popped into the oven before guests arrive. Warm large skillet over medium heat. 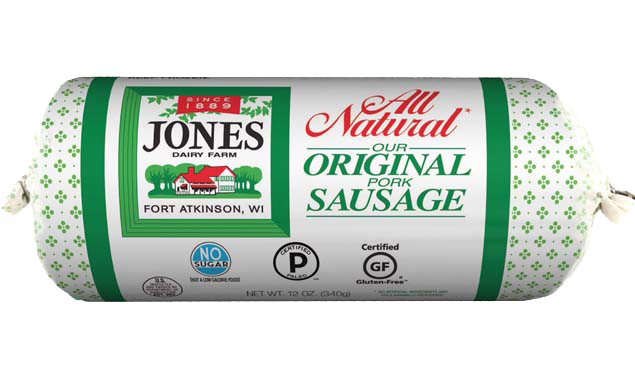 Form sausage into 12 patties, slightly larger than one dinner roll. Add sausage to skillet and cook until completely cooked through. Meanwhile, using a serrated knife, cut rolls in half lengthwise (without breaking apart). Place bottom half of rolls in 7x10-inch or 9x13-inch baking dish; set tops aside. Scoop scrambled eggs onto bottom rolls; top with pepper jack. Place sausage on top of pepper jack and top with American cheese. Carefully top with top buns. Bake 15-20 minutes or until cheese is bubbly and melted. Serve and enjoy! To make for tailgating use a disposable foil pan or wrap individually in foil and keep warm. Sliders can be prepared a day ahead and popped in the oven before the big game. I make these for my family. They are a big hit even the kids love them. My mom is a picky eater and I am making them right now for her. My family l​oved this for Christmas morning! We will definitely be making it again! Everyone loved them at church. Very easy to make. Used cheddar cheese in place of pepper jack. Also used 1/2 slices in place of whole slices of cheese.